Job cuts are still occurring, though, as 272,301 layoffs have been announced year-to-date, 6.7 percent higher than in the first seven months of 2017. Retailers have been responsible for 75,763 of those job cuts this year, as the industry continues to face competition from online merchants (Amazon). Layoffs in the healthcare sector have also been on the rise in 2018, which Mr. Challenger said is occurring because “Providers are undergoing cost-cutting measures and targeting labor costs, all while dealing with skills shortages. Hospitals especially face challenges in balancing cost-saving measures with quality-of-care issues.” Overall, though, layoffs in America remain low, not just at large corporations but across all employers. 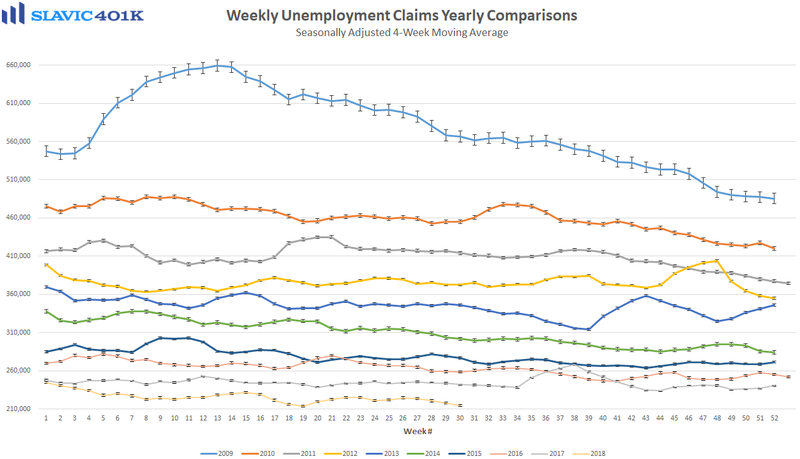 This is evidenced by first-time claims for unemployment benefits, a leading economic indicator that continues to hover near a half-century low.